Simon Coope Karate School is one of the leading competitions Karate clubs in Great Britain. The club currently has three members of the England Karate Federation, England Squad, in the club. Five of our members have won English National titles. 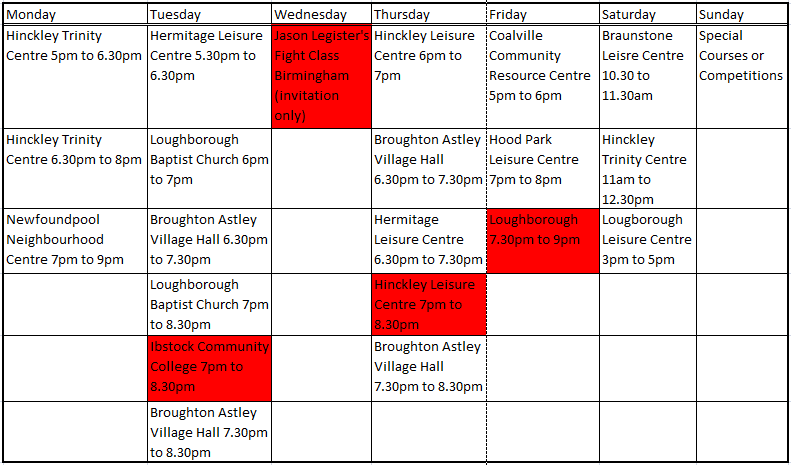 We offer three specific Kumite sessions a week, Thursday 7 – 8.30pm in Hinckley and Friday 7.30 – 9pm at Loughborough Leisure Centre are Kumite based sessions Tuesday 7 – 8.30pm at Ibstock Community College is run by David Coope, English, British and European Karate Champion and is a physically challenging Kumite session which will really push you both mentally and physically.